Also operating as the Nannup Visitors Service, this is a unique shop that showcases local artists and producers. 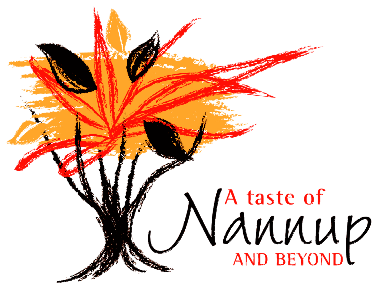 The shop A Taste of Nannup is providing an outlet for goods that would otherwise find it hard to get to the market. Unique, Bespoke and quirky this shop is everything you have been looking for. The shop also has an exhibition on the movie DRIFT, Nannup souvenirs and maps. Are you tired of shopping malls that all look the same? We are! Our shop is different. We source locally made handicrafts, produce and art works that will blow your mind. Books, woodwork, hats, mugs, bird houses, scarves, jewellery, soap and skin care, gourmet food and much more. Over 60 artists and producers fill our store with their wares in a unique relationship that ensures that what you are buying is a genuinely locally designed, made or grown product!